Your cultural itinerary includes sights like Museo Larco and Miraflores. 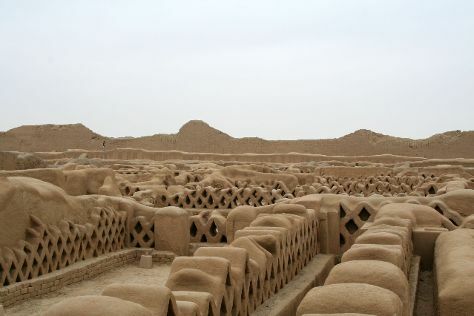 Visit Huaca Pucllana and Centro Historico de Lima for their historical value. There's still lots to do: pause for some serene contemplation at Iglesia y Convento de San Francisco, see the interesting displays at National Museum of Archaeology, Anthropology and History, look for all kinds of wild species at Nor Yauyos-Cochas Landscape Reserve, and don't miss a visit to Plaza de Armas (Plaza Mayor). To see ratings, where to stay, photos, and other tourist information, go to the Lima road trip planner . Porto, Portugal to Lima is an approximately 18.5-hour flight. You can also do a combination of bus and flight. Traveling from Porto to Lima, you'll gain 5 hours due to the time zone difference. Traveling from Porto in July, you will find days in Lima are little chillier (22°C), and nights are about the same (19°C). Finish your sightseeing early on the 31st (Wed) so you can travel to Trujillo. Deepen your sense of the past at sights like Chan Chan and Casa Urquiaga (Casa Calonge). Appreciate the collections at Casinelli Museum (Museo Arqueologico Casinelli) and Casa de la Emancipacion. There's much more to do: delve into the distant past at Site Museum, take in the spiritual surroundings of Iglesia de Santo Domingo, see the interesting displays at Museo Cao, and contemplate the long history of Iglesia de San Francisco. To see photos, other places to visit, more things to do, and other tourist information, you can read our Trujillo trip itinerary maker . Getting from Lima to Trujillo by flight takes about 2 hours. Other options: take a bus; or drive. July in Trujillo sees daily highs of 24°C and lows of 19°C at night. Finish your sightseeing early on the 4th (Sun) to allow enough time to travel to Iquitos. The largest city in the Peruvian Amazon and the world's largest metropolis unreachable by road, Iquitos represents a major starting point for river and rainforest adventures. Get a sense of the local culture at Museum of Historic Boats and Museum of Indigenous Amazonian Cultures. Step out of the city life by going to Iguana Lodge & Camp and Rainforest Awareness Rescue Education Center. Spend the 7th (Wed) surrounded by wildlife at Tapiche Reserve. There's much more to do: look for all kinds of wild species at La Isla De Los Monos, delve into the lush surroundings at Jairo mejia prado, get the adrenaline pumping with an extreme tour, and stop by Centro Artesanal Turistico Anaconda. To find where to stay, more things to do, ratings, and more tourist information, read our Iquitos trip itinerary builder app . Traveling by flight from Trujillo to Iquitos takes 5.5 hours. Expect much hotter weather when traveling from Trujillo in August: highs in Iquitos hover around 38°C, while lows dip to 25°C. Wrap up your sightseeing on the 9th (Fri) early enough to travel to Puno. Get in touch with nature at Taquile Island and Uros Floating Islands. On the 12th (Mon), spend a thrilling day on the water with a speed boat tour. There's still lots to do: stroll the grounds of Sillustani, make a trip to Chullpas, contemplate the waterfront views at Lake Titicaca, and take some stellar pictures from Mirador Ing. Eduardo Sanchez. For photos, ratings, traveler tips, and other tourist information, go to the Puno trip planner . You can do a combination of flight and bus from Iquitos to Puno in 8 hours. In August, Puno is cooler than Iquitos - with highs of 21°C and lows of -3°C. 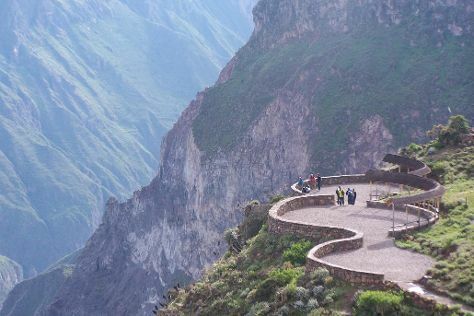 Finish up your sightseeing early on the 12th (Mon) so you can go by car to Cabanaconde. On the 13th (Tue), look for all kinds of wild species at Condor's Cross, then take some stellar pictures from Mirador Cruz del Condor, then get great views at San Miguel Viewpoint, and finally get great views at Tapay Viewpoint. To see where to stay, reviews, photos, and other tourist information, go to the Cabanaconde day trip planning site . Traveling by car from Puno to Cabanaconde takes 5.5 hours. Alternatively, you can do a combination of bus and taxi. Wrap up your sightseeing on the 13th (Tue) to allow time to drive to Arequipa. 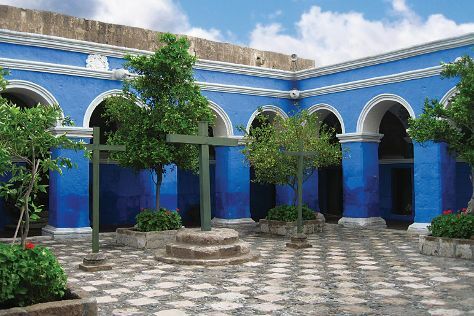 Santa Catalina Monastery and Museo Santuarios Andinos are good opportunities to explore the local culture. Visiting River Rafting & Tubing and Canon de Cotahuasi will get you outdoors. There's still lots to do: see the interesting displays at Monasterio de la Recoleta, take in the spiritual surroundings of Iglesia de la Compania de Jesus, get advice or help at San Francisco Plaza, Church and Monastery, and steep yourself in history at Historic Centre of Arequipa. To see traveler tips, more things to do, where to stay, and more tourist information, read Arequipa trip maker tool . You can drive from Cabanaconde to Arequipa in 4 hours. Alternatively, you can take a bus. August in Arequipa sees daily highs of 24°C and lows of 9°C at night. Cap off your sightseeing on the 18th (Sun) early enough to travel to Puerto Maldonado. Puerto Maldonado sits at the confluence of the Tambopata and Madre de Dios Rivers in the Amazon rainforest. Step out of the city life by going to Panthera Sanctuary and Nature & Wildlife Tours. Spend the 20th (Tue) exploring nature at Lago Sandoval. There's still lots to do: look for all kinds of wild species at Inkaterra Ecological Reserve, admire the natural beauty at Mariposario Tambopata, buy something for everyone on your list at Mercado Tres de Mayo, and take a stroll through Native Community of Ese"Ejas. To find other places to visit, ratings, and more tourist information, go to the Puerto Maldonado trip builder website . You can fly from Arequipa to Puerto Maldonado in 5 hours. Alternatively, you can take a bus; or drive. Expect much hotter weather when traveling from Arequipa in August: highs in Puerto Maldonado hover around 38°C, while lows dip to 22°C. 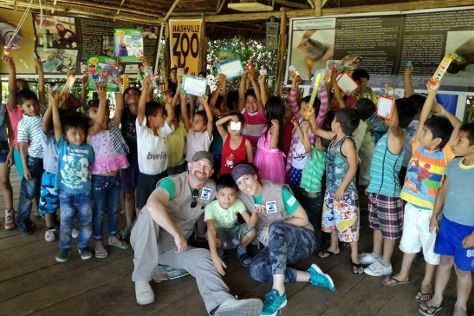 Finish up your sightseeing early on the 22nd (Thu) so you can travel to Tambopata National Reserve. 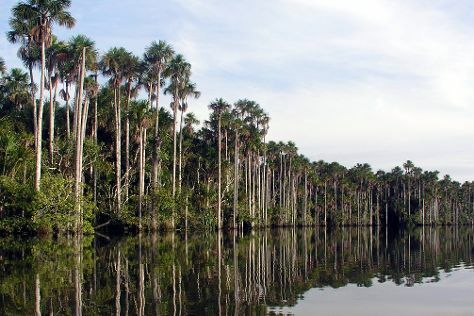 Home to sprawling, untouched rainforests and marshes, Tambopata National Reserve stands out as one of the last great wildernesses of South America. Kick off your visit on the 23rd (Fri): take in the dramatic natural features at Colorado Macaw Clay Lick and then identify plant and animal life at Tambopata National Reserve. Make your Tambopata National Reserve itinerary with Inspirock to find out what to see and where to go. Explore your travel options from Puerto Maldonado to Tambopata National Reserve with the Route module. In August, plan for daily highs up to 38°C, and evening lows to 22°C. Finish your sightseeing early on the 23rd (Fri) to allow enough time to travel to Manu National Park. On the 24th (Sat), take a peaceful walk through Manu National Park and then admire the verdant scenery at Kosnipata Valley. To see more things to do, other places to visit, photos, and more tourist information, read our Manu National Park road trip planning site . Explore your travel options from Tambopata National Reserve to Manu National Park with the Route module. Finish your sightseeing early on the 24th (Sat) to allow enough time to travel to Machu Picchu. Get outdoors at Santuario Historico de Machu Picchu and Jardin Botanico en Machu Pichu. Get a sense of the local culture at Archaeological Park Ollantaytambo and Qosqo Ayllu. Step out of Machu Picchu with an excursion to Inka Pintay in Ollantaytambo--about 1h 50 min away. There's lots more to do: steep yourself in history at Choquequirao Archeological Park, take in nature's colorful creations at Los Jardines de Mandor, delve into the distant past at Winay Wayna, and take some stellar pictures from Intipuncu. To find where to stay, more things to do, reviews, and other tourist information, refer to the Machu Picchu visit app . Explore your travel options from Manu National Park to Machu Picchu with the Route module. Finish your sightseeing early on the 28th (Wed) to allow enough time to travel to Cusco. Visiting Salinas de Maras and Santuario Animal de Cochahuasi will get you outdoors. Your cultural itinerary includes sights like Sacsayhuaman and Plaza de Armas. Take a break from Cusco with a short trip to Centro Texti Urpi in Chinchero, about 58 minutes away. There's lots more to do: explore the ancient world of Centro Historico De Cusco, explore the world behind art at Museo de Arte Precolombino, pause for some serene contemplation at Iglesia De Santo Domingo, and see the interesting displays at Qorikancha. To see traveler tips, ratings, photos, and other tourist information, use the Cusco tour itinerary tool . Traveling by combination of train and bus from Machu Picchu to Cusco takes 3.5 hours. Alternatively, you can take a train; or drive. In August in Cusco, expect temperatures between 24°C during the day and 2°C at night. Cap off your sightseeing on the 2nd (Mon) early enough to travel back home.